Console artist Ozcan — whose work we've featured before — certainly knows the way to pull at a Sega fan's heartstrings with this glorious custom Dreamcast. Or, for that matter, did the NES, until Ozcan got his hands on them. Apparently a woman bought the console second-hand at a market, and seeing as the machine was in such a poor state felt like it needed — no, deserved — a second lease of life. 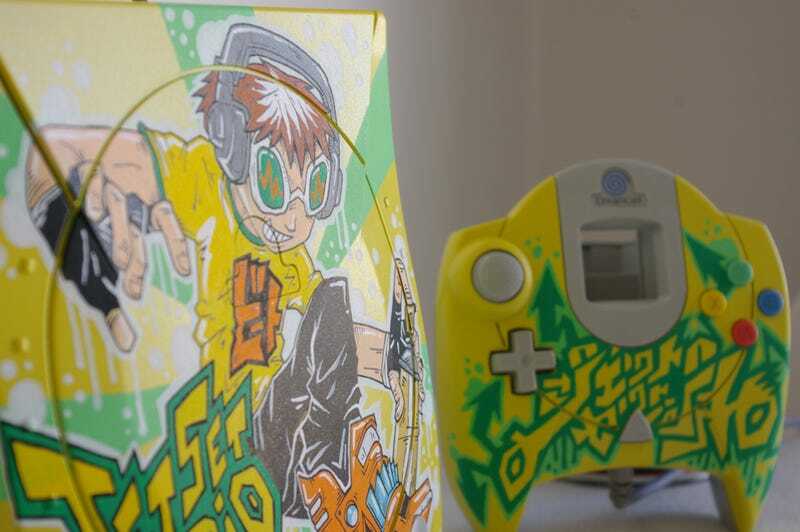 So Ozcan, as he does for a living, painted it in an amazing Jet Set Radio livery, nailing both the colour and the vibrancy of what for many (this writer included) feel was the Dreamcast's finest hour. Being a game about graffiti, it's also kind of poignant seeing it decorating a plain, grey console like this.